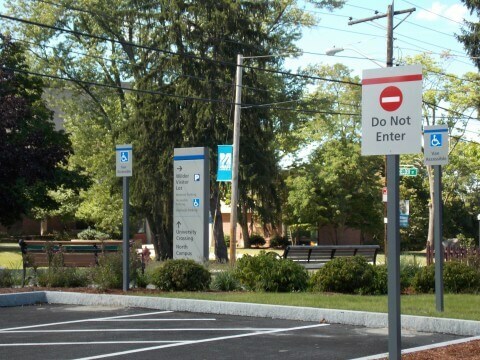 Custom Parking Lot Signs & Parking Lot Signs for Business in Massachusetts | Express Sign & Graphics Inc. Looking to buy a single parking sign or parking lot signs for an entire parking lot? 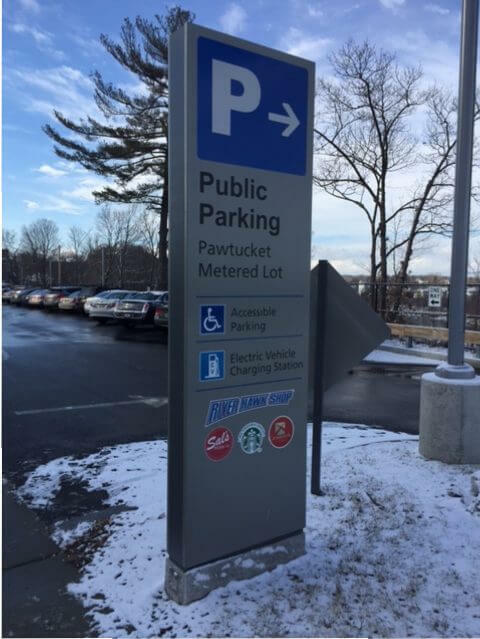 At Express Sign & Graphics, we’ve designed, fabricated and installed thousands of parking lot signs throughout New England. 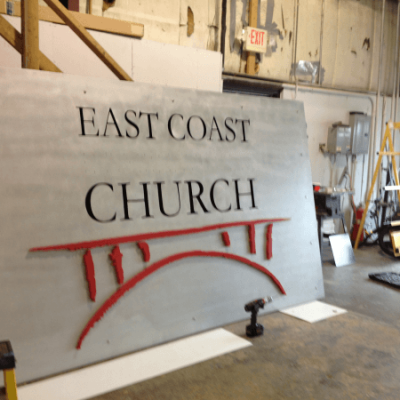 We offer custom parking lot sign fabrication for one or one thousand signs. 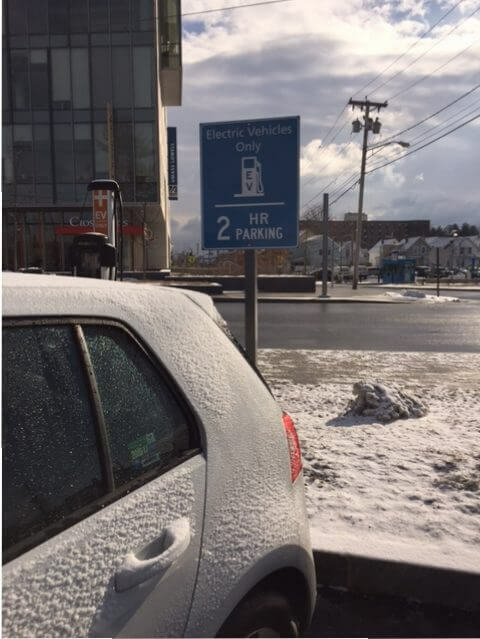 Parking lot signage may seem like a small thing, but properly worded parking instructions, restriction notices and warnings can reduce user frustration, reduce parking lot accidents and incidents and create a safer parking lot for customers, employees, patients and others. At Express Sign & Graphics, our goal is to help make our customers sign buying experience as Easy as 1-2-3! Our experienced sign design and fabrication staff will gather your information, color preferences, material preferences and post style. We will get you a quote and design options and proofs quickly and can fabricate parking signs and deliver or install them for you in days. We use quality vinyl graphics and lettering and even full color graphics when needed. Looking for night time visibility? 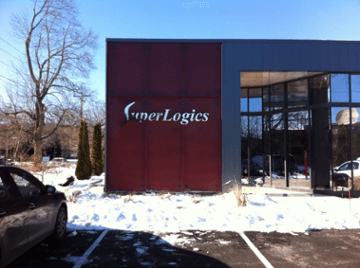 Ask about reflective vinyl for your sign panel or your sign letters. We can customize your parking sign with your company logo, messages that meet your specific needs and sizes to suit your parking lot environment. Looking for a gift for a friend or family member? 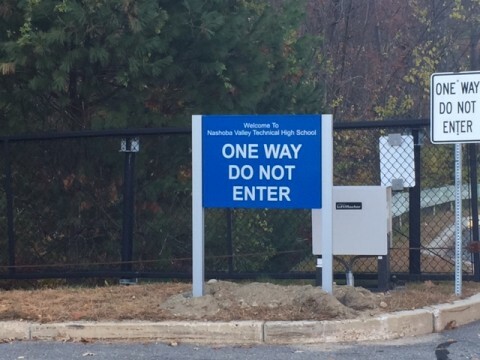 Custom parking signs are a great personalized gift and we will gladly help you design and create a quality product that you will be proud to give as a gift. Great for sports fans, hobby fanatics and more. Don’t let ugly, rusted parking signs make your store or office parking area a bad reflection on your business. Parking signs are relatively inexpensive, but are a great investment to increase your business curb appeal. We use aluminum, PVC and Dibond to fabricate our parking signs. None of these will rust and look ugly like cheap steel parking signs. 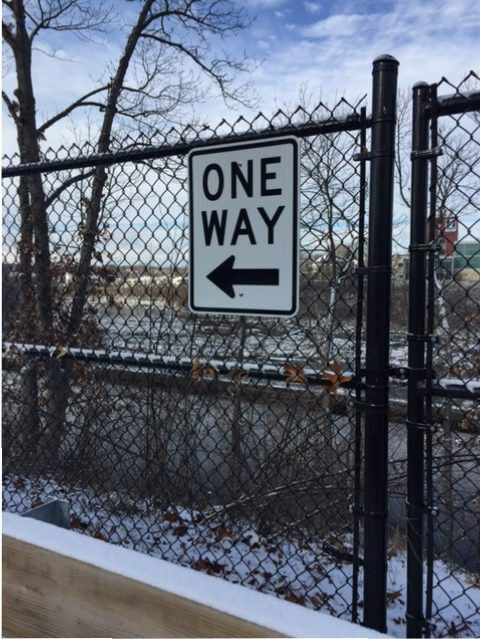 We have post options to enhance your sign including channel posts, PVC Posts, square posts, breakaway systems and more. 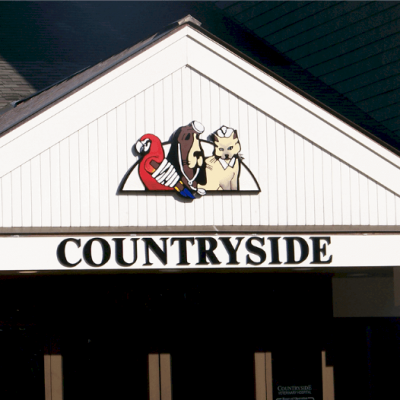 Call us at 978-250-9890 today to arrange for a site visit, stop by our store at 9 Kidder Road in Chelmsford, MA or complete our Quote Request form with your project information. We promise a fast response, friendly service and competitive pricing on your parking lot sign project. 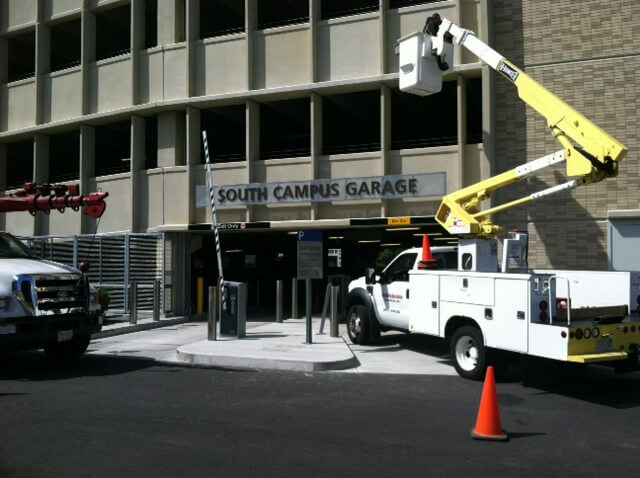 Our Parking Signs and Parking Lot signs are fabricated using quality substrates and vinyls. 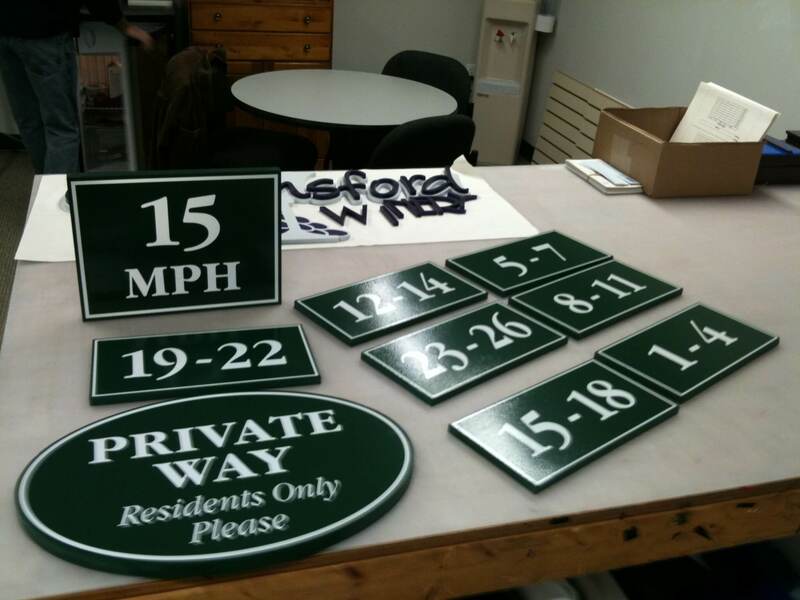 We can create your parking lot signs in a number of finishes. Aluminum – .040, .063, 080 or even .125 thick. Stock colors for aluminum include white, red, blue, yellow, black. Our aluminum signs include a 1″ or 2″ radius on the corners and two holes top and bottom for mounting. Custom holes can be requested for different mounting options such as fence mount. We can also route custom shapes and paint custom colors to match your facility or parking area. 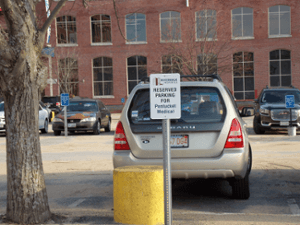 PVC – PVC is a nice options for a more dressed up look for your parking signs. PVC is available in 1/4″, 1/2″ and 3/4″ and can be routed to custom shapes and painted custom colors to match your brand or facility. PVC signs are a popular option for condominium parking lots, historic areas, apartment complexes and new home construction. Pair your PVC parking sign with an attractive PVC Post and Ball or Flat cap for a professional, attractive look. Dibond – Dibond is an attractive substrate for parking lot signs. Available in a number of stock colors and brushed aluminum and gold finishes, it offers a durable and attractive option. Again, we can route Dibond to custom shapes to meet your needs. U Channel Posts – Available in 1.12, 2 and 3 lb. weights and in your choice of green or galvanized. We recommend galvanized to avoid rusting. Square Posts – We stock 2″ x 2″ x 8′ white square posts. These can be painted to match your signs or parking area. 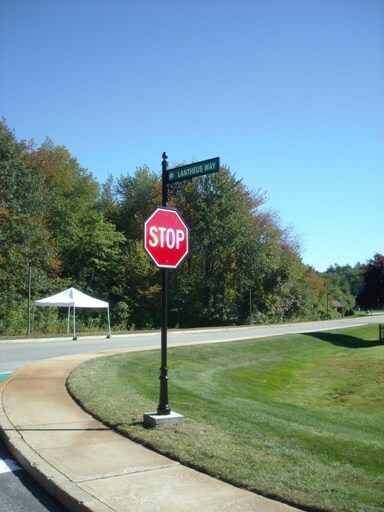 We can trim for shorter sign installations or custom fabricate longer posts if needed. PVC Posts – Standard 4″ x 4″ x 8′ or 5″ x 5″ x 8′ white PVC is available. We an also custom order tan, black or off white posts if needed along with longer lengths. We offer ball caps or peak caps and also recommend a pressure treated wood insert for better stability. Perforated Posts – Square perforated posts are available. 2 3/8 Diameter Round Posts – Galvanized steel pipe posts. Acorn and flat caps also available. Breakaway Post Systems – Available in U Channel style or Square Perforated Posts. Mounting Brackets – We offer a wide variety of mounting hardware. 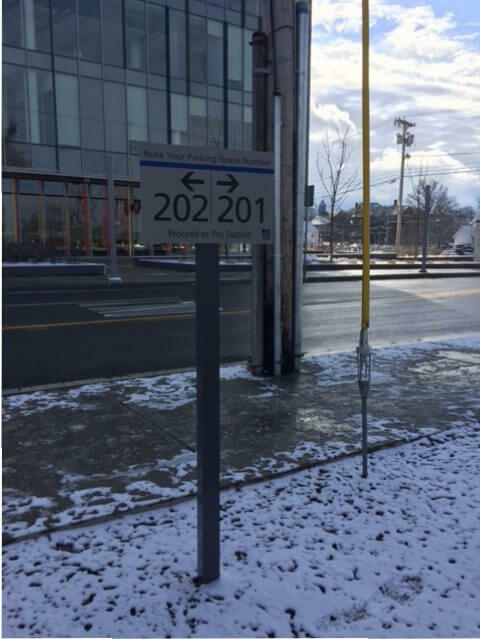 Accessories – We offer a number of options for sidewalk mounted parking signs and movable parking signs. Oracal 751C High Perforamance Cast Vinyls – We use Oracal brand vinyls which are a great long, lasting sign vinyl. We stock a number of colors so that we can produce your signs quickly. You can use vinyl as a coating for the substrate as well as for the lettering to create an endless array of color options. We can also custom order from over 30 color options. Reflective Vinyl – Reflective vinyl is a great option when you need better nighttime visibility. Reflective vinyl is available in white, red, blue, yellow, black and green. Full Color Graphics – Looking to enhance your parking lot signs with your logo or custom colors, gradients and graphics? We offer full color graphics with overlaminate that will last 5 years outdoors. Count on us to help you create a quality sign product with great design and for service as Easy as 1-2-3!